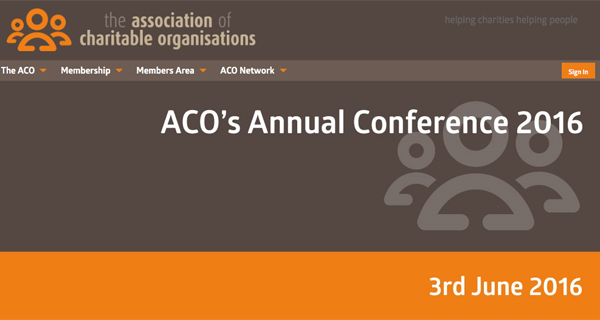 The Association of Charitable Organisations (ACO) conference will look at the opportunities and challenges of austerity. On 3 June 2016, the Association of Charitable Organisations will hold its annual conference. The ACO is the national UK umbrella body for Trusts and Foundations that give grants and welfare support to individuals in need. Top of the agenda (692 KB pdf) is how austerity poses opportunities and threats to organisations helping those in need. The conference will consider what is going on, how our sector has changed and where we should be heading. Simon Hopkins, Chief Executive of Turn2us and expert panel member commented: “It’s more essential than ever that charities and other bodies pool their efforts to help people as comprehensively as possible. Many of the people we help have broader and more complex needs - we are only too aware that the process of seeking out multiple sources of help can of itself add to the daily stress felt by individuals and families. Alison Taylor,Director of Operations at Turn2us, will also be speaking at the event, giving a key report on responding to the challenges of poverty. In addition, Turn2us will have an exhibition stand where you can find out more about our useful online tools, meet Turn2us staff, learn more about volunteering with us this Volunteers Week and get the facts and figures on our #BenefitsAware campaign.